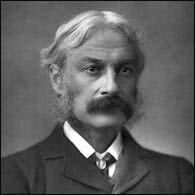 Andrew Lang (March 31, 1844, Selkirk - July 20, 1912, Banchory, Kincardineshire) was a prolific Scots man of letters. He was a poet, novelist, and literary critic, and contributor to anthropology. He now is best known as the collector of folk and fairy tales. The Andrew Lang lectures at St Andrews University are named for him. "A peculiarly thrilling and vigorous tale of adventure."